Whether kayaking in the Ibera Marshes in Argentina or bird-watching at Ba-Be Lake in Vietnam, tourists are providing income for the conservation of wetlands worldwide, as demonstrated in a new publication launched by the Ramsar Secretariat and UNWTO. Besides providing essential services such as water, food and energy, wetlands offer significant opportunities for tourism, which can in turn deliver economic benefits for local communities and the sustainable management of wetlands, according to the publicationDestination Wetlands: Supporting Sustainable Tourism. Through 14 case studies, covering different wetland types around the world, the publication demonstrates how sustainable tourism practices in and around wetlands can contribute to conservation, economic growth, poverty reduction and support to local cultures. The publication was launched at the 11th Meeting of the Conference of the Contracting Parties to the Ramsar Convention on Wetlands (COP11) in Bucharest, Romania (6-13 July 2012). Held under the theme Wetlands and Tourism, COP11 will debate a landmark Resolution on Wetlands and Tourism, urging sound tourism practices in wetlands. "The adoption of this Resolution on Tourism and Wetlands will provide an important framework to help countries better recognize the linkages between wetlands and tourism so as to develop sustainable tourism in wetlands and other ecosystems. It proposes measures that they can take in the short and long term to ensure sustainable wetland tourism," said Anada Tiega, Secretary General of the Ramsar Convention. "Of course it is important to consider tourism in all wetlands – not just those designated as Ramsar Sites – since the Contracting Parties to the Convention are committed to managing all wetlands and promoting their wise use." “For Romania, the development of eco-tourism in the wetlands is a priority, and an example in this respect is the Danube Delta. Ramsar Sites in Romania must be placed at the very centre of our attention and the Ministry of Environment and Forests, together with the Ministry of Regional Development and Tourism, will ensure that this becomes a reality,” stated Corneliu Mugurel Cozmanciuc, State Secretary, Ministry of Environment and Forests of Romania. The focus on tourism at COP11 comes on the back of increasing collaboration between UNWTO and the Ramsar Secretariat. Since 2010, both have been working together towards the development of sustainable wetland tourism, with World Wetlands Day 2012 (2 February) celebrated under the theme “Wetlands and Tourism: A Great Experience”. International tourist arrivals reached 982 million in 2011 and are expected to top one billion in 2012, generating over US$ 1 trillion in international tourism receipts. 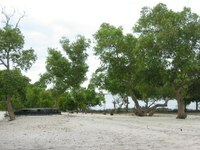 It is estimated that half of all tourists travel to wetlands, particularly coastal areas.